Premium protection that is almost invisible! Protect your iPhone X from bumps and scratches with this almost invisible screen protector. The Cygnett RealCurve Tempered Glass Screen Protector offers the ultimate in screen protection against damage due to everyday wear and tear or from daily use items such as keys and coins. With added Oleophobic technology it provides you with an easy clean surface as well as a protective barrier against water, oil and also eliminating fingerprint marks and smudges. The tempered glass material offers super high protection using 9H hardness which is the highest level of glass protection available. The RealCurve 3D offers full screen coverage with edge to edge protection your phones surface avoids damage and will always be protected from the elements that are around you. True touch sensitivity results in you never having to worry about the screen protector interfering with buttons or functions you touch on your screen and very high HD visibility and definition due to the RealCurve’s almost invisible nature means there is second skin protection for your device. Installation is now almost fool proof when compared with previous screen protector application processes. 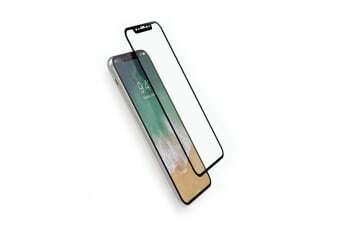 Long gone are the frustrations and bubbles of applying your screen protector and are replaced with a simple step by step bubble free guide.